Investing.com – The dollar remained near a 10-week high on Monday as the Federal Reserve’s preferred inflation measure rose, increasing chances of a rate increase. The , which measures the greenback’s strength against a basket of six major currencies, rose 0.27% to 96.62 as of 11:14 AM ET (15:14 GMT). The Fed’s preferred inflation measure, the personal consumption expenditures (PCE) price index, rose in September. The data bolsters expectations that the central bank will raise rates in December. Chances of a rate hike were priced in at , according to Investing.com’s Fed Rate Monitor Tool. 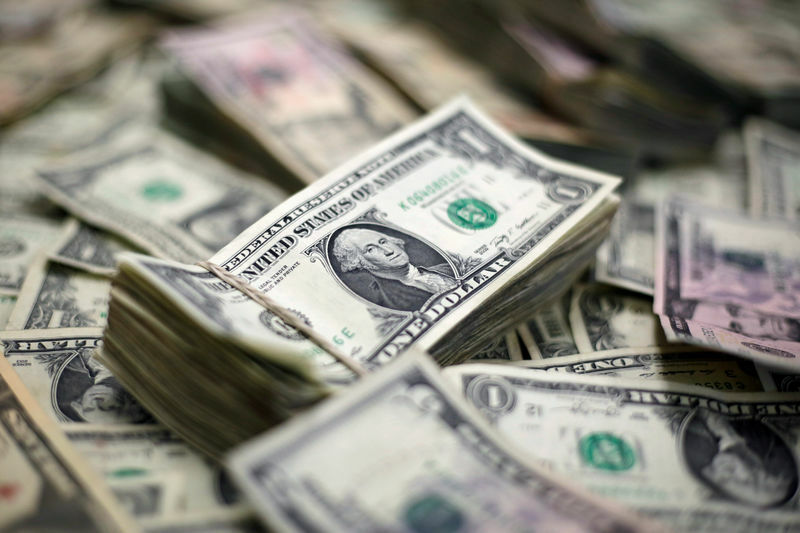 The dollar rose against the Japanese yen, with gaining 0.48% to 112.44. The Canadian dollar was lower, with up 0.14% to 1.3124. The euro fell amid ongoing political tensions between Italy and the European Commision and news that German Chancellor Angela Merkel as the chair of the Christian Democratic Union (CDU) party. Merkel’s coalition party suffered a setback in regional German elections on Sunday. fell 0.19% to 1.1380, not far from a session low of 1.1366. Sterling was also lower with down 0.19% near a two-month low of 1.2807 amid Brexit fears. Elsewhere the Australian dollar was lower, with slipping 0.23% to 0.7075 and increasing 0.12% to 0.6529.